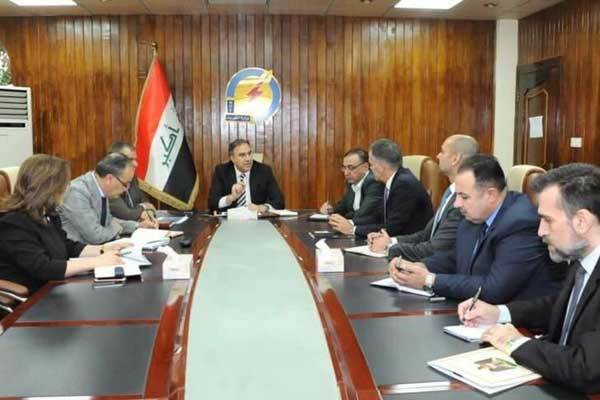 A delegation from GE Power, a global energy leader, today (November 4) met with Iraq’s Minister of Electricity Luay Al Khateeb at his office, to discuss next steps to drive the principles of cooperation (POC) signed by the ministry with GE to develop the country’s power sector. The GE delegation was led by Joseph Anis, president and chief executive officer of GE’s Power Services business in Africa, South Asia and the Middle East, said a statement. “The POC signed with GE serve as a strong action plan to help meet our requirements and we look forward to begin the execution of activities noted under this proposal,” he added. “We are committed to delivering the action plan under the recently signed principles of cooperation and our top priority is to deploy GE’s proven fast power technologies and upgrades for existing assets to help bring up to an additional 1.5 gigawatts online by 2019 - the equivalent electricity needed to supply up to 1.5 million Iraqi homes,” he said. “Power is foundational to growth and we are honoured and excited to support faster progress for the people of Iraq,” he added. Under the POC signed with the Iraqi Ministry of Electricity, GE intends to add new power generation capacity; provide repairs, rehabilitation, upgrades and maintenance services for existing power plants; develop substations and overhead lines across the country; set up a centralised energy management system; and undertake comprehensive decongestion network studies, as well as advisory services to reduce collection recoverable losses. As part of the proposals in the POC, GE also plans to establish a local technology centre comprising of a repairs centre, monitoring and diagnostics centre and a training centre; provide three trailer-mounted mobile water treatment units; and supply neonatal intensive care equipment and advanced medical care training for nursing staff at a neonatal intensive care centre. The plan is expected to generate up to 14 gigawatts (GW) of power, create up to 65,000 direct and indirect jobs, support the government to realise savings and recoverable losses of up to $3 billion per year and support access to water and healthcare for local communities. GE will also assist the Government of Iraq to unlock financing for these projects through its extensive relationships with global export credit agencies and financial institutions.